Tan’s Camellia Garden is dedicated to Camellias whose presence acts as a theme as well as name the garden. 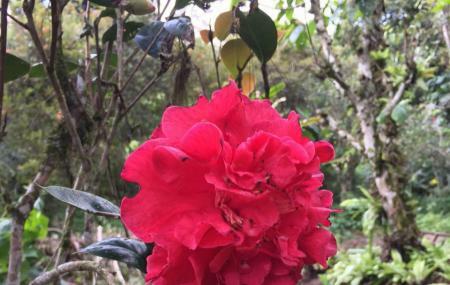 Here, you will see various hues of Camellias to delight you. As you visit this garden, do visit its main showroom and have a look at the pictures as well as books that pertain to Camellias. Taken care of by Mr. Tan Chin Pa after whom this garden has been named, this park houses over a hundred types of Anthuriums of different colours, sizes and shapes. There is also a herb garden here where various medicinal herbs have been kept on sale. How popular is Tan's Camellia Garden? People normally club together Yz Strawberry Farm and Mah Meri Art Gallery while planning their visit to Tan's Camellia Garden. Awesome place that had been built by a passionate gardener over the last 30 years. Extremely knowledgeable about her plants. A great stop in tanah rata, that doesn't require you to join all the traffic in going towards brinchang. There's a big development project going on next door that will slice into her garden a little (the garden will still remain though). Come see it before that part of it is lost. Mrs Tan is such a friendly person. She can offer many gardening advice and teach u to grow healthy vege.